"The average professional athlete in the U.S. will make more in one season than most of us earn in our entire lives…. [yet,] despite those staggering salaries, 78% of NFL players, 60% of NBA players and a very large percentage of MLB players (4x that of the average U.S. citizen) file bankruptcy within five years of retirement." Scott Bercu, a financial accountant for professional athletes, believes this group spends like mad, and blows their savings too rapidly. He said, ?They see their salaries as infinite, like it doesn't end, like they can't spend it all but if you get $5 million a year, by the time you get done paying your agent and taxes, you have $2 million left to spend.? The ?shelf life? of athletes is tiny. Professionals in this industry have a small window to make their millions, and if they don't they cannot survive on their savings for very long (even if they saved responsibly). Ed Butowsky of Chapwood Capital Investment Management believes athletes don't understand finances. He says the leagues try to help educate them, but the system doesn't work well enough. Also, according to Butowsky, athletes are targets for poor investment pitches. He said, ?Chronic over-allocation into real estate and bad private equity is the number one problem in terms of a financial meltdown. I've never seen more people come to me about raising money for those kinds of deals than athletes.? Athletes often do try to be responsible with their savings. However, they pick the wrong financial advisors. The NFL Players Association claimed that 78 players lost a total of $42 million between 1999 and 2002 as a result of bad financial advisors. In fact, Bob Young - managing director for APEX Wealth Management - says athletes often don't know who manages their savings. He said that he frequently asks players how they're doing (financially), and they'll often respond, ?I have no idea. All the bills are paid by someone else.? [It is very disconcerting] if the NFL and NBA data is correct. That's a high rate of bankruptcy, and the leagues should provide better guidance for its athletes…. [Unfortunately,] professional athletes are easy targets. They are highly visible, have lots of money and limited experience. …Before pointing the finger at athletes, it may be wise to step into their shoes (cleats) for a minute … maybe their financial woes aren't entirely their fault or a result of reckless spending." 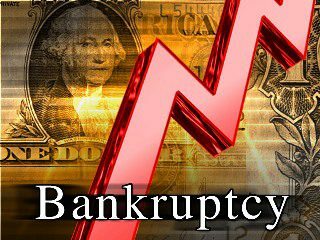 The post Majority of NFL, MLB & NBA Players Go Bankrupt Within 5 Years! Here's Why (72.7K Reads & Counting!) appeared first on munKNEE.com.